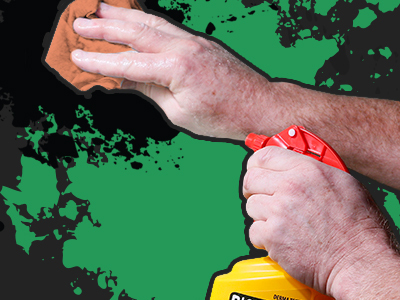 Big Wipes hand cleansing wipes remove anything from water and oil-based paints to varnishes, silicone sealants, oils, epoxies and stubborn Poly foams and adhesives. Plus, these heavy-duty cleaning wipes contain 4X Skin Conditioners; Vitamin E, Aloe Vera, glycerin & lanolin, helping to nourish and protect the skin and thus preventing hands from becoming dry and cracked, both painful symptoms of dermatitis. 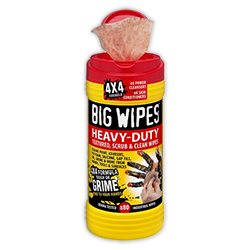 The whole range of Big Wipes industrial cleaning wipes contain a biodegradable, low alcohol cleaning formula that complies with the latest Directive, plus Zero levels of irritation were recorded during controlled testing by dermatologists. 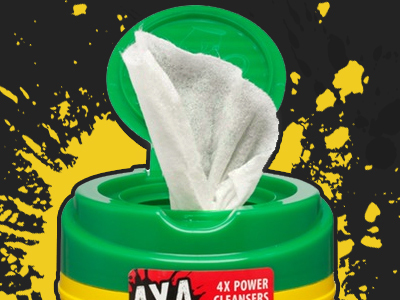 These are simply the best hand cleaning wipes on the market! 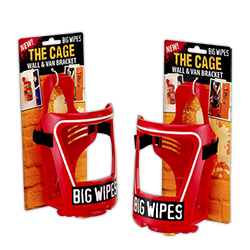 Incorporating the latest high adhesion web technology, the innovative Fabric from Big Wipes grips 40% more grime with every wipe, so you can mop up even the toughest dirt in the quickest time. Most industrial cleansers and wipes out there can only do one thing. 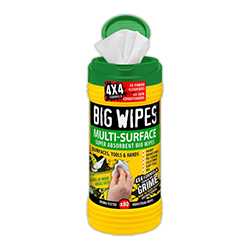 Not Big Wipes! 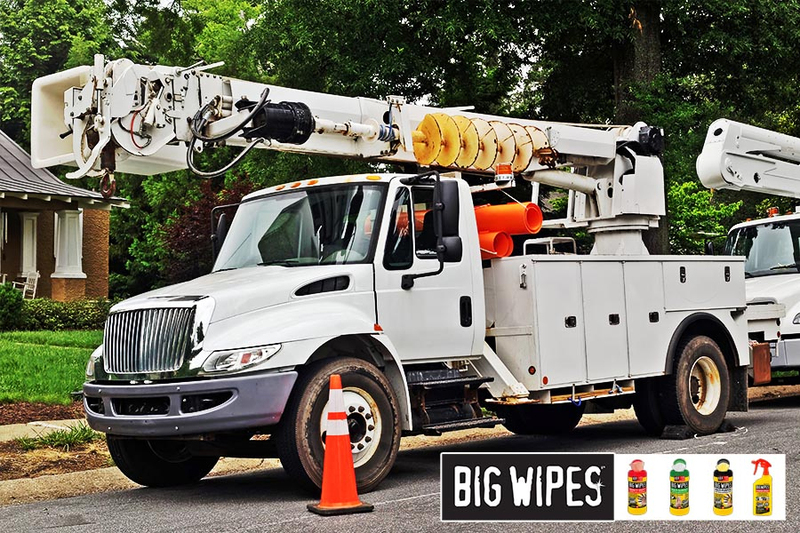 No matter what needs cleaning, whether it’s your hands, tools, equipment, fleet vehicles, or any mucky surface — Big Wipes is up to the challenge. Have a dirty work truck? 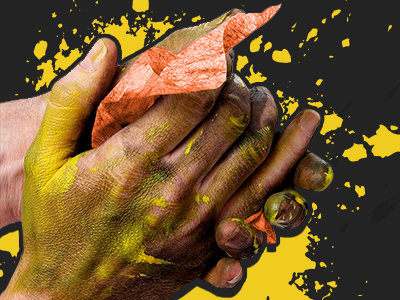 Clean it with Big Wipes. Want to rid your tools of oil and grease? 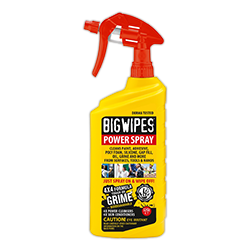 Clean it with Big Wipes. One wipe does it all. Working on the road is not easy. In the utilities and energy sectors, the work is difficult, desolate and dirty. Not only do tradespeople have to brave the elements and the hazards of the job, but they have to deal with dirt and grime — and lots of it! Earlier this month, we were fortunate to be featured in a video on the Pro Builder Facebook Page. This simple product demonstration went viral. 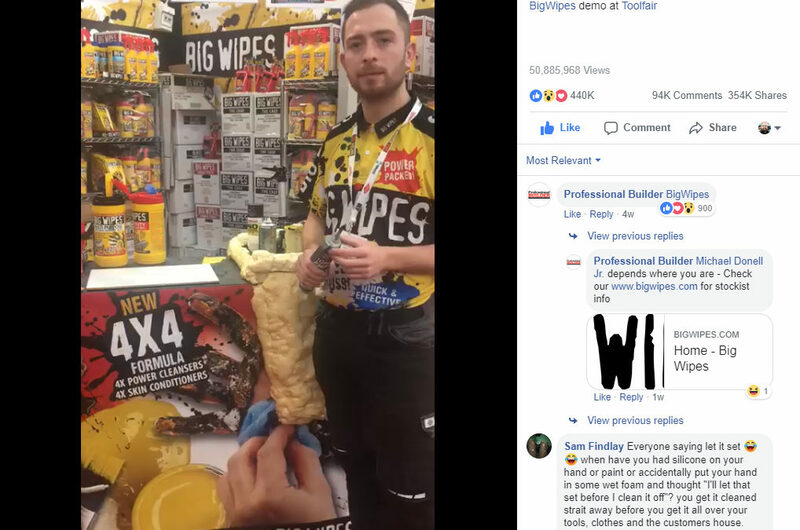 Now workers and businesses from all over the country are looking to try Big Wipes for themselves. 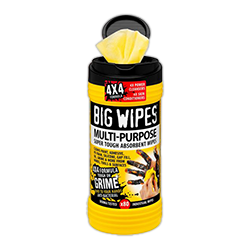 Check out the video and learn how Big Wipes are Safer, Faster, and Better than any industrial wipe on the market.